New cards based on Aigami’s Deck from the movie is out, and today we’ll be discussing them. Be aware there will be spoilers concerning the movie in this article, so stay away if you refuse to be spoiled! First off. What IS Houkai first of all, and why did the Org refuse to translate it for so long? The Theme name is the Kanji 方界 (Houkai). The thing is this is a nonsense term basically meaning “Side/Direction/Square World”. Which seems fairly odd, as the monsters themselves don’t seem quite. “Square”. Now, with the release of High Quality images, it becomes evident that Aigami’s cube from the movie regularly shows up on their card art. Thus it is possible that the Hou (方) might be inferring to Heihou (平方), which means Square, or Rippou (立方), Square. However, the thing is, this group’s name even if it is meant to infer Rippou or Heihou, is likely a myriad of word play. One of which will be saved for later in the article, but let’s get to the first. The group’s name calls to mind 十方世界 (Jippousekai), a Japanese translation of how in ancient India, they would metaphorically refer to the entire world: By referring to the Earth (Nadir), the Heavens (Zenith) and the eight major directions (North, North-East, East, South-East, South, South-West, West, North-West), you’d more or less be inferring everything in existence. Similar to “Four Corners of the Earth”, would be a roundabout similar way of going about this. Now the problem is, if it’s inferring to both a Cube and “The Entire World”, how do you explain that notion to most players in an encapsulating term? The problem was that, how do we infer the name inferences of the group. We weren’t sure how to. And we weren’t entirely sure the Jippousekai inference should be emphasized. Basically the early artwork and reveals failed to clarify the cards. It appears the TCG decided to cut the Gordian Knot, and go with Cubic due to the huge amount of cubes that recur in the art of the cards. There is another issue, but I think it might be best saved once we get to the card(s) that best explain the problem. Each of the Houkai / Cubic monsters is based on concepts and names from Hindi religion, and we’ll try and give a brief overview. This card, oddly enough, being the lowest and weakest of the Cubics, seems to refer to Vishnu, a god who over time has popularized outside of India as one of the aspects of the Trimurti, three gods that represent the flow of creation, preservation and destruction of reality. Vishnu represents specifically the “preservation” of the universe. That likely element of Vishnu is reflected in the card’s effects making it resistant to destruction, and its effect putting the opponent into a form of stasis. There’s a small change its name might also be related to विजय (Vijaya), which means victory, roughly. But it can also refer to a chariot of the gods, quite fitting for a card that serves as the metaphorical ‘key’ to the entire Deck. The monster from the “Transcend Game” One Shots that tie into the movie, this one is fairly simple. It’s name after Dyaus Pita (literally “Sky Father”), he’s essentially the Vedic version of Jupiter and Zeus, all of whom are believed by anthropologists to be later variants of the chief deity of the Proto Indo-European culture(s) that migrated into Europe and India. The main issue of importance of this guy is he’s the father of Agni, Indra and other Vedic deities. However, the “Dark” element might be a nod to Girimekhala, a similarly important Elephant, from the Theravada school of Buddhism. Girimekhala however is an entity of malice, as he is the Elephant who carries Mara, the lord of demons who is the physical embodiment of “Mara”, the concept of focusing too much on the physical over the spiritual, giving into unwholesome physical desires (like lust and greed). Garudia is based on Garuda, the great bird/bird-man who serves as the mount of Lord Vishnu. Visually he’s often associated with Phoenixes, Eagles and the Brahminy Kite (The Red-Backed Sea Eagle to our Australian Readers). He’s also the sworn enemy of the Naga race (a race of serpents/serpent men, who are likely based on the Indian Cobra). This one seemingly is based on Gandharva, half-bird or half-horse like minor gods/nature spirits who serve as the heralds and musicians of the Gods. If one had to wager why this card is a Beast-Type, it’s probably due to that half beast nature, but functionally, they seem somewhat similar to Hermes/Mercury, from Greek Mythology. This one seems to break the pattern of the Hindu naming. 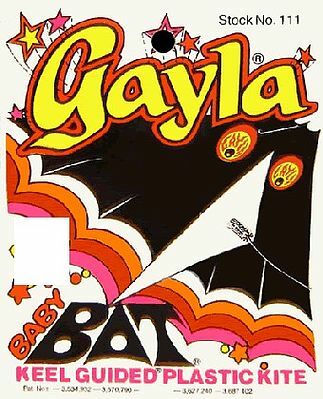 Oddly enough, its name seems to derive from the Gayla Kite brand (well known for their kites with eyes), rather than a God. However, it’s likely also based on Vayu, the God of the winds and the Breath of Life. Why a kite company over the God Vayu is anyone’s guess, though. Besides the Vulcan (Roman God of the Forge) indication, this card derives from Agni, the Vedic god of fire who carries burnt sacrifices and offerings to the world of the Gods through flame. He’s also one of several gods associated with knowledge. This card, which basically Aigami’s signature card, is named Indra, the son of Dyaus Pita, who supplanted him as the God of lightning, storms and rain. Among other things he is known for is the slaying of Vritra, the dragon embodiment of drought who blocked the rivers of India. This card isn’t directly named after any God, but its evolved form likely points to this card being a vague reference to Shiva, the Destroyer. There’s some loose connection that it might be based on Shiva if one believes Shiva derives from Sivappu, the Tamil word for Red (tying a connection of him and the Sun (Nova), to the Tamil word for the Sun: Sivan). Now to note, while Shiva’s destruction makes him terrifying, he is a god whose destruction is seen as a necessary trans-formative engine, similar to the meaning of “Death” in the Major Arcana, where Death is the Death of a ‘thing’, leading to rebirth. The last of the monsters, now we get into something a bit deeper. First off, the Trinity here and if Crimson Nova is meant to infer Shiva, indicates this card represents the concept of the three cycles of the universe: Trimurti, which is represented by Brahma the creator, Vishnu the protector and Shiva the destroyer. Things are created, they exist, and they ultimately are destroyed or fall to pieces. What if their name was a roundabout and somewhat obtuse reference to the movie’s title? Houkai could mean [Side] [Realm/Plane/World/Dimension]. f you take Houkai to mean “Side of Dimensions”, the Ankoku in Crimson Nova and Trinity’s Japanese names might be ultimately a reference to “The Dark Side of Dimensions” themselves, as these cards only show up once Aigami have been corrupted by the power of the Millennium Ring. However, we can’t ultimately confirm this but it would be an interesting nod. Karma is basically works and actions done by a person. Good deeds create good karma, bad deeds lead to bad karma. A life full of good karma leads to rebirth in a more positive form as a Deva or a Good or a better person. Bad Karma can lead to one turning into a beast, insect or some sort of demon in their next life. Basically, Samsara is the endless cycle of birth, life, death and rebirth in countless, nearly endless lives between the varying realms of existence. A belief shared by Hindis, Taoists, Buddhists and other tenants of other various religions. And at least one, Buddhism, aims to break the cycle of death and rebirth by achieving enlightenment to escape the cycle of endless suffering and pleasure and existing.